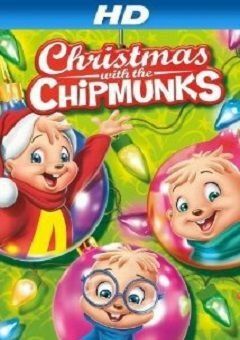 The Chipmunks finish making invitations to send to their relatives and then leave to audition for the town play Pilgrims Adventures in a New Land. Alvin tries for the role of the Lead, while Simon tries for Lighting and Sound director, and Theodore Costume Designer. However, the Director of the play feels that to properly celebrate the pilgrims story of adventure, the boys should branch out and attempt new positions. As a result, she casts Simon as the Lead, Theodore as Lighting and Sound Director, and Alvin as the Costume Designer to expand their talents. Dave explains to the boys that life is about taking chances, but they aren’t convinced. That night, they each have nightmares on their failure and humiliation. They come up with a plan to pretend to rescue a lady’s (Simon) little girl (a doll) at the zoo to get out of the play. With only five minutes until the play, a police officer rushes them to the theater and their grandmother praises their skills used in the rescue act, informing them they can do the same for the play, kindling their self-confidence. They are successful at their roles and, at Thanksgiving dinner, inform Dave they signed him up for a golf competition.